You come to Las Vega for the party, but you want the right place for your family, friends or coworkers to enjoy a fabulous social event. 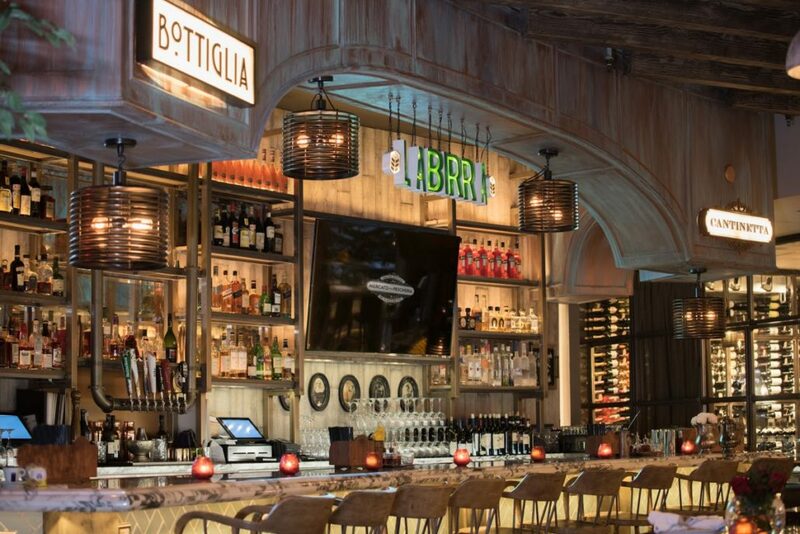 Transport your social gathering with an extraordinarily Italian Restaurant experience at Mercato della Pescheria, an authentic Italian Restaurant in St. Mark’s Square, Las Vegas, NV. Savor fresh shucked oysters from the crudo raw bar as your sip your special drink at in our plush lounge or at the bar. Enjoy cocktails, authentic Italian beers, Italian cheeses and cured meats at our lovely outdoor patio overlooking St. Mark’s Square. Whether you are celebrating a birthday, a rehearsal dinner, or any other special social event, such as an anniversary, a reunion or a large less formal event, Mercato della Pescheria will create for you, a genuine Italian Restaurant experience with the freshest seafood, the most succulent meats, and homemade pastas for your social gathering – all served with exceptional Italian charm. Our special events packages include options for Breakfast, Lunch, Dinner and Cocktail Receptions. Buyouts are available upon requests (minimum number of guests required).